A lot of people say that they'd love to be a cat, since you get to spend all day sleeping, getting pet and chasing bugs and you never have to worry about bills. 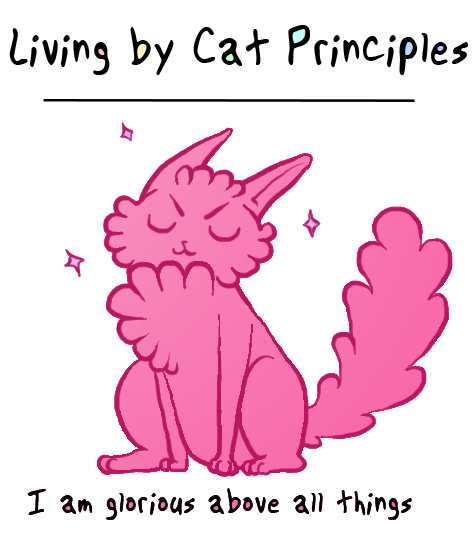 While we can't be cats unless reincarnation is real and we're really, really good people in this life, we can still live by the Principles of the Cat. Yessssss. Be like a cat. Do not tolerate unwanted touching, especially if they continue to violate your boundaries after you have made it clear that they need to stop.